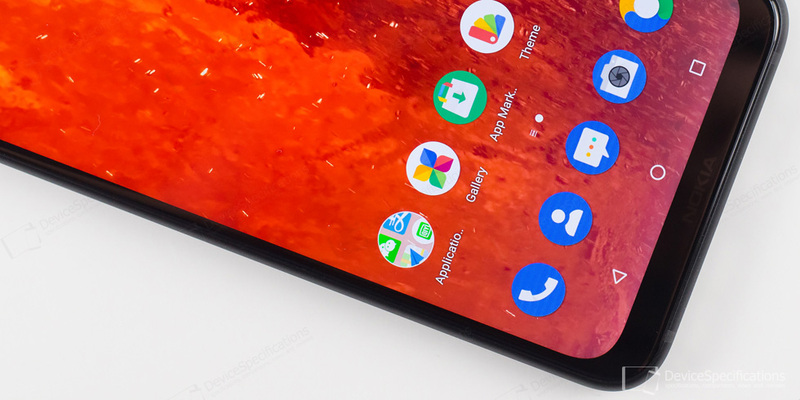 Nokia X7 stays true to the minimalist design paradigms of the Nokia X series. It has a perfectly symmetrical profile and is built around a 6000 series aluminium alloy frame that has undergone dual-tone anodization and large-area high-gloss diamond cutting by using the high-precision CNC technology. The 2.5D curved front and rear glass are bonded to the frame directly without a plastic buffer layer. The front and back of the frame have chamfered edges that flawlessly intersect with the curve of the glass. This is not only visually appealing but is also pleasant to the touch. The colour options of Nokia X7 are four: blue with a silver frame, brownish red with a copper frame, night silver with a steel frame and black with a steel frame. We are reviewing a black unit. In terms of ergonomics, the Nokia X7 is quite comfortable to hold and operate. Especially when we take into account the big display. Actually, the model has an average width of 75.76 mm for a smartphone with a 6.18-6.2-inch display. It is also one of the shortest smartphones with a display of that size class - 154.8 mm in height. In terms of thickness and weight, the model is average among other smartphones with 6.1-6.2-inch displays and 3500 mAh batteries. It has a waistline of 7.97 mm and a weight of 180 grammes. 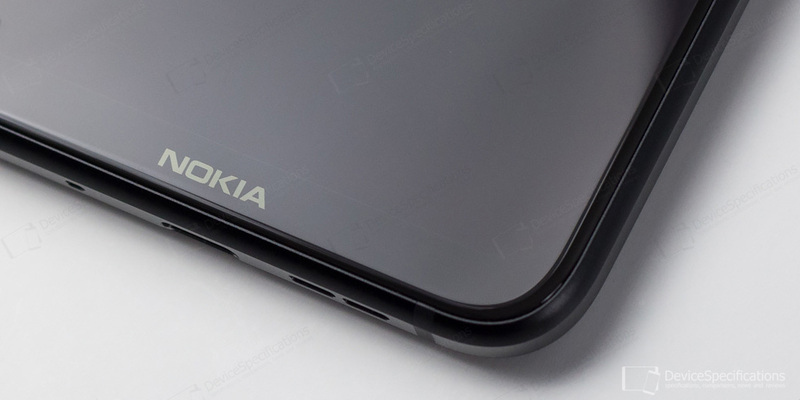 The front of Nokia X7 is covered with a 2.5D curved NEG glass. 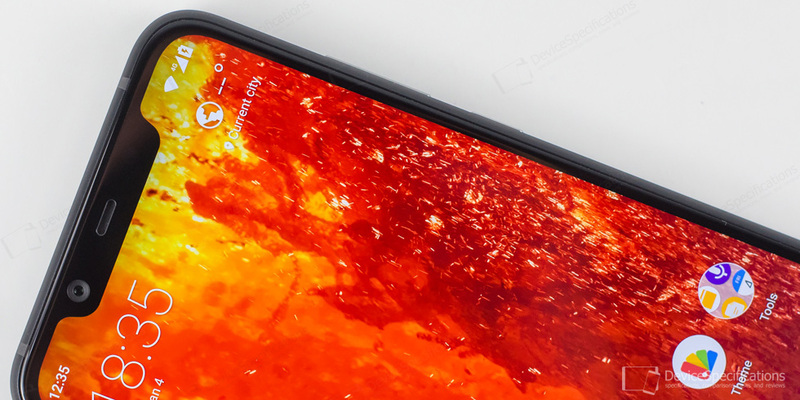 The display takes up 82.32% of the total front surface of the device and has a notch. 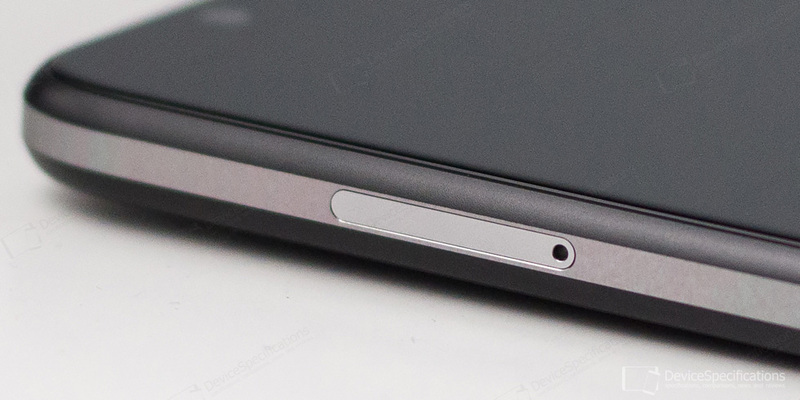 The latter houses the front camera, earpiece, light/proximity sensor. If you prefer a notch-less display, you can switch the notch off from the Display settings. The navigation bar is on-screen only and you can either customize it (swap the Back and Menu buttons, for example) or you can completely remove it and replace it with on-screen gesture navigation. 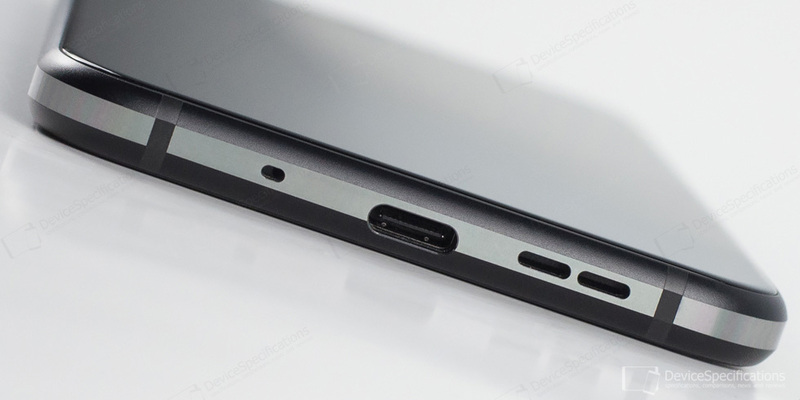 The top frame houses a 3.5 mm jack and the bottom one is where you'll see the microphone hole, USB Type-C 2.0 port and a single bottom-firing speaker. The back of the device is covered with a 2.5D curved glass as well. 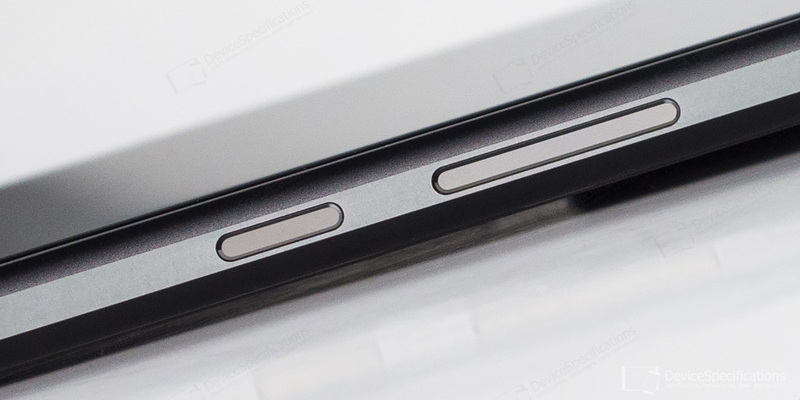 All elements on that side are positioned vertically along the centre of the handset. The dual camera module is placed on the top and contains a dual-tone LED flash to the left of the shooters. 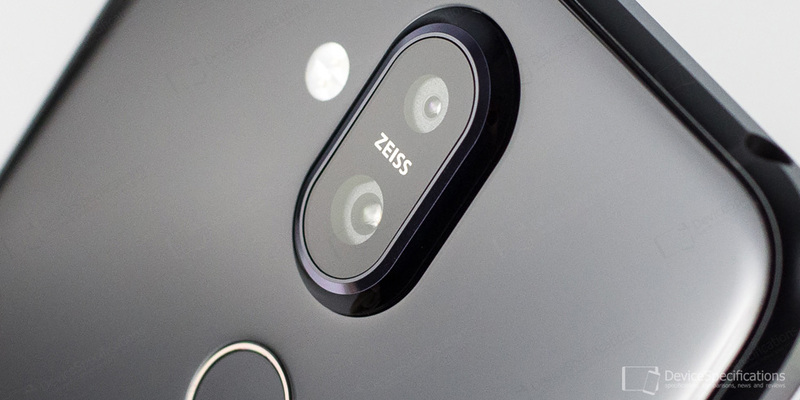 The circular fingerprint sensor is placed below the cameras. It is slightly indented and has a rim in silver colour. The sensor is followed by the Nokia logo. 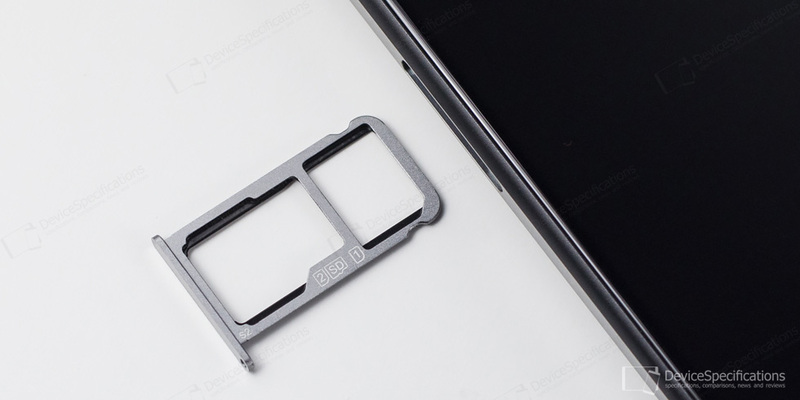 The hybrid, dual-SIM tray is positioned on the left frame, while the right one houses the power and volume buttons, which are made of metal and have thin chamfered edges for an improved tactile experience.